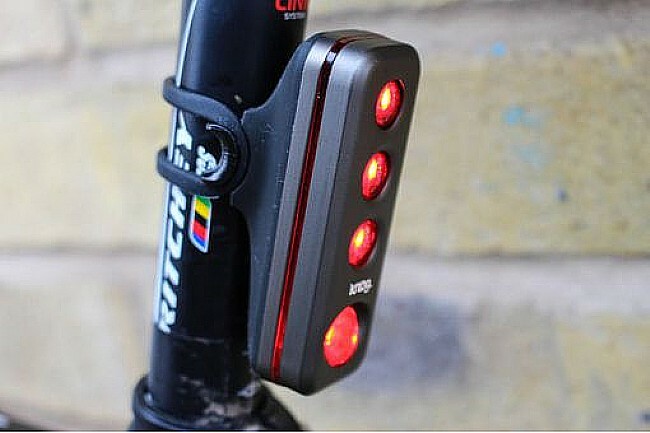 When the night is calling, the Knog Road R70 Tail Light is there to shoot as much as 70 lumens from its 4 LEDs to cover your backside. Like its smaller Blinder brethren, the Road R70 uses one of its 3 interchangeable silicone straps to mount onto various-sized round or aero seatposts without the need for tools or permanent mounting-fixtures, making it easy to remove and stash when not in use. The alloy fascia provides durability and clean looks, and it's designed to illuminate from the side as well, making you visible to cross-traffic as well those coming up from behind. 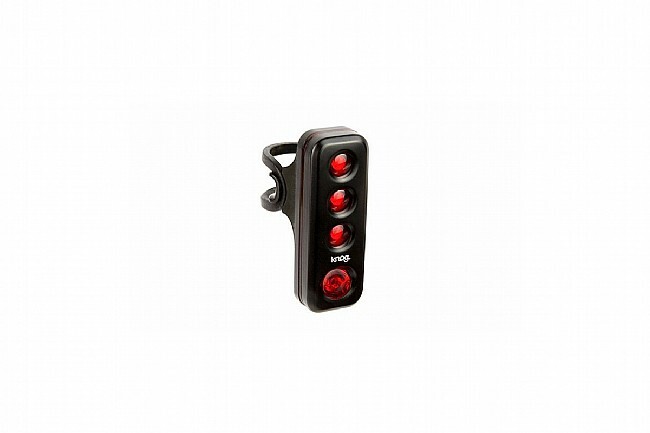 An integrated low-battery indicator signals the need for recharging, which is easily done using the built-in weatherproof USB plug to re-up the Road R70's lithium polymer battery. Claimed weight is 52 g. Includes 3 silicone seatpost straps. Dimensions are 27 mm x 76 mm x 52 mm. IP68 waterproofness rating.